Welcome to the #1 source for cheap investment properties in the Oklahoma area. You can learn more about these properties, our service, and the local real estate market below. 12/14/2018 - New Wholesale Deal with Tons of Equity! There is certainly a lot of Oklahoma investment property to choose from these days. As an investor, it can be hard to make sure you are getting the best deal. It mostly comes down to the type of property you are going after, which will ultimately determine whether you are profitable or not. 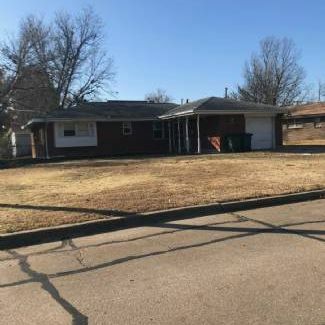 There's no shortage of foreclosures, and these used to make for a great Oklahoma investment property. But years of tight competition from other investors and more recently the downturn in the economy have caused most smart investors to shy away from foreclosures. And for good reason, as prices for foreclosures are still too high in most cases as the banks try to recoup as much of their lost investment as they can. Good alternative Oklahoma investment properties are pre foreclosures and wholesale properties, if you can manage to find them. Pre foreclosures are homes that have managed to stay off the bank's foreclosure list, at least for now. The owner has usually fallen on hard times and cannot seem to make their payments. A lot of times owners of these homes don't even know that there are investors around who can help them by buying the property for the outstanding mortgage amount. This makes pre foreclosures inherently hard to find. Wholesale properties are hard to find too, and these deals usually happen between investors who know each other. But if you can find them they can be a great deal because the seller is usually willing to let the property go at a big discount. You can then turnaround and give the property the attention it needs before selling it or renting it out. MyHouseDeals.com can help you find the best Oklahoma Investment Property. We have a comprehensive list of available pre foreclosures and wholesale properties from which to choose. Not only do we have the biggest list around, but our staff is on point to regularly follow-up with property owners to ensure that listing details are accurate, to inquire about the condition of the home and determine an estimated cost of repairs if any are needed, and to see if the owners are willing to lower the price of the property. We make these calls every 15-30 days that a property is listed on our site. Don't just take our word, or the word of thousands of investors all across the country that count on MyHouseDeals.com. 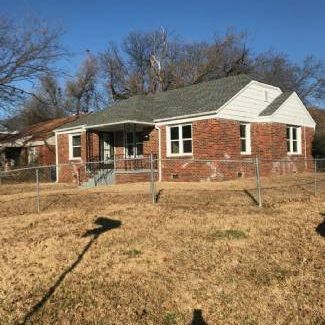 Come see for yourself the Oklahoma investment property we have listed. Try it out free!